SNORKEL: YES | DEPARTS: DAILY | LUNCH: ON REEF DAY | PRICES | ASK A QUESTION? Remember to try any form of scuba diving you must be medically fit with no asthma and not be taking any prescription medication. PADI also recommends allowing up to 24 hours after diving before flying. Minimum age to Scuba Dive is 12 years and above. 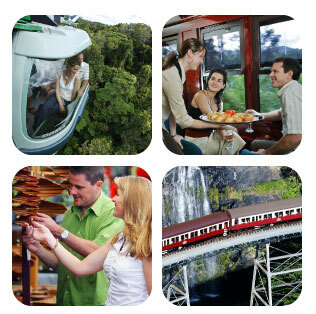 Bus Transfers are only included on the Kuranda Day Tour. The Silverswift Reef Day just walk to The Reef Fleet Terminal for a 7:45 am check-in. Check in is at the Reef Fleet Terminal Cairns at 7:45 am. Only a 5 minute walk from most downtown Cairns Hotels. Your day includes all snorkeling equipment like snorkel, fins, mask, lycra suits, pool noddles and life jackets. Morning / afternoon tea and a beautiful hot and cold buffet lunch is also included. Silverswift are the only Cairns Snorkel boat to visit 3 different sites in the one day. Silverswift is an active day, perfect for those that really want to snorkel and see the very best of The Great Barrier Reef. Traveling over 65km offshore from Cairns to the outer edge reef systems. Silverswift maintain reef permits to Flynn, Milln and Pellowe reefs. Stunning snorkling over beautiful bright colourfaul corals gardens with many species of soft and hard corals. Watch hundrends of different marine animals living on the reef like Sea Turtles, Anemonefish (Nemo), Glass fish, Sting Rays, Schooling Trevally, Giant Mauri Wrasse and much more. Enjoy a day up in the small village of Kuranda, a bus will pick you up from your hotel in the morning and transfer you to Kuranda Scenic Rail for a 1hour journey thru the mountains to arrive in Kuranda Village. Spend around 3 hours exploring this beautiful little village in the rainforest before coming back down the mountain on the Scenic Skyrail around a 1.5 hour journey before being transferred back to your hotel. 2.5 - Hours FREE time in Kuranda Village. Return Bus Transfers from your Hotel. 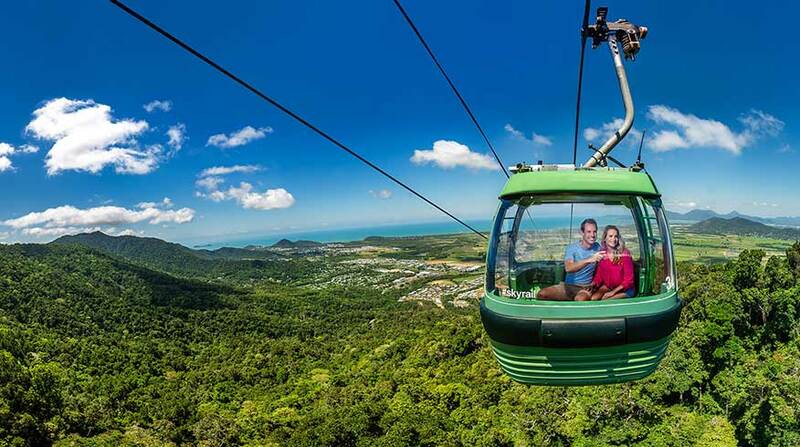 A fantastic scenic day for the family with children or couples looking for a great way to see the Rainforest from the Scenic Railway and Skyrail Rainforest Cableway. Did you know there are two stations you can disembark the Skyrail and spend 10-Minute walking thru the Rainforest on a board walk. You also get spectacular views of Barron Waterfalls. Optional Extra Upgrades: Please see the price table above. You can add Rainforestation Army Duck Tour + Wildlife Park + Aboriginal Dancers + Buffet Lunch to you Kuranda Tour. • Bring your swim wear, backpack, ipod, camera, sunscreen, hat & towel. You can buy photos from the on board photographer or hire on underwater camera while you are here in Cairns.